Following peaceful elections, a successor took office in November 2017, and the new coalition Government, which is accountable to the parliament, has embarked on an ambitious reform agenda. 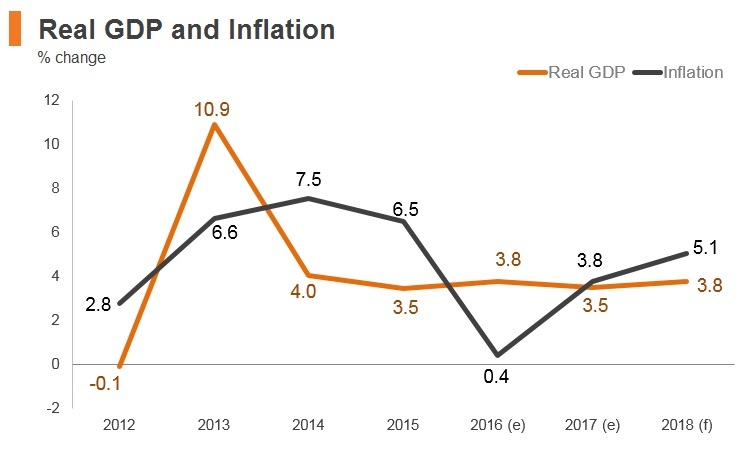 Growth accelerated to 4.5% in 2017 from 3.8% a year earlier, supported by continued improvements in the Russian and Kazakh economies and by expansionary macroeconomic policies. 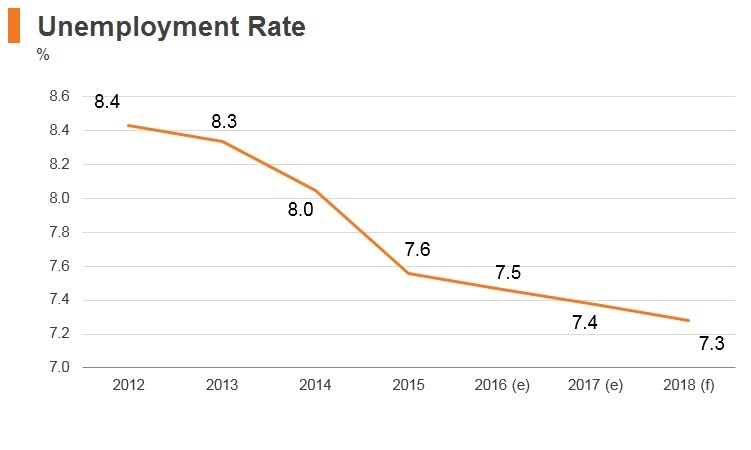 The reliance on one single gold mine, Kumtor, (accounting for approximately 10% of Kyrgyzstan’s GDP) means that the country is vulnerable to external shocks; private sector development and improving the young people’s skills and productivity are priorities. Kyrgyz voters approved a raft of constitutional changes in a referendum which strengthened prime ministerial powers. Sooronbai Jeenbekov was elected president. Kyrgyzstan joined the WTO in 1998. 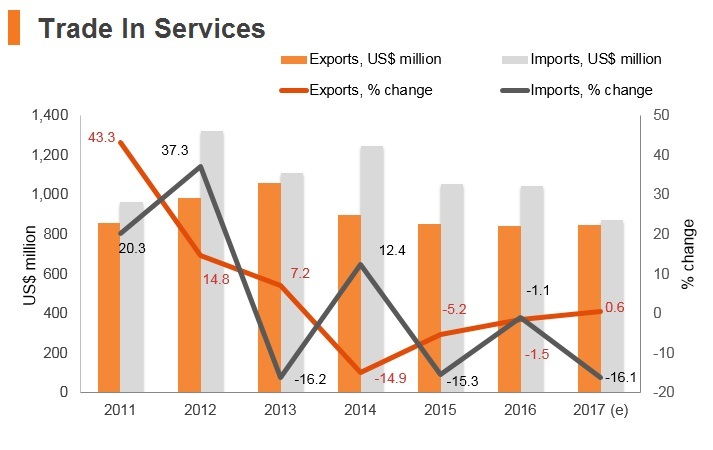 Kyrgyzstan's trade profile received a significant boost when the country ascended to the Russian-led Eurasian Economic Union (EAEU) single market trading bloc in 2015. It is a member along with Russia, Belarus, Kazakhstan and Armenia. The EAEU single market provides for free movement of goods, people, capital and services between member states, with a common external tariff regime. 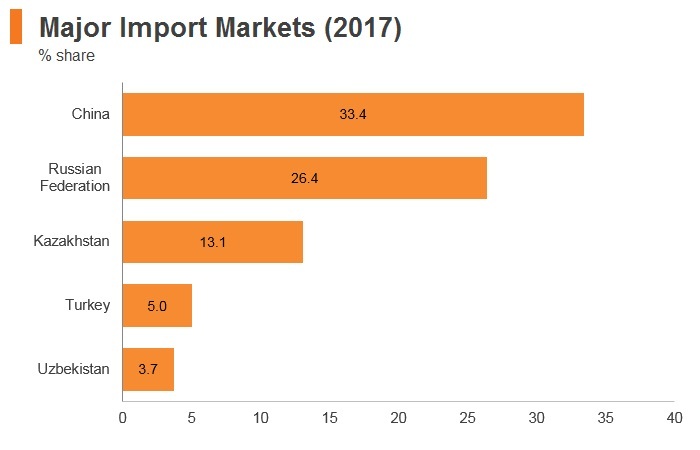 EAEU import tariffs on pharmaceuticals and coal mining machines - The country is highly dependent on imports for consumer and industrial needs. 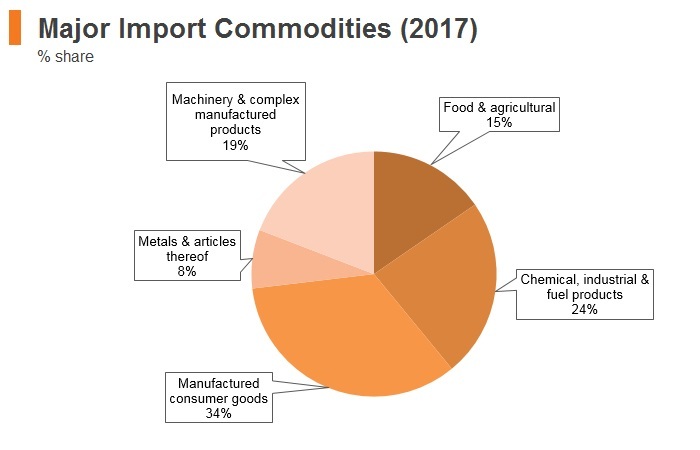 Trade defence measures - Various antidumping measures imposed on products from Ukraine, autos parts and steel products from China, and autos from various countries - The country is highly dependent on imports for consumer and industrial needs. This makes accessing them from non-EAEU markets significantly more expensive. 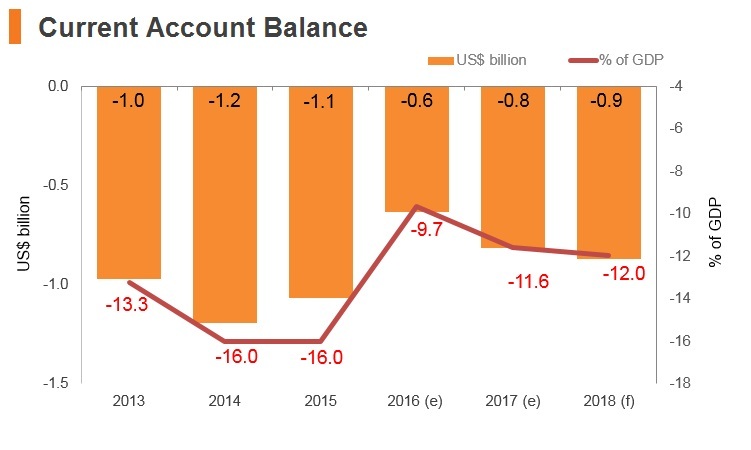 Given that China is Kyrgyzstan's neighbour, this has significantly impacted trade flows between the two countries. The country's landlocked status has meant, in the past, that it has largely traded with its immediate neighbours, such as Russia and China. Trade with Russia has benefitted from Kyrgyzstan’s accession to the EAEU. 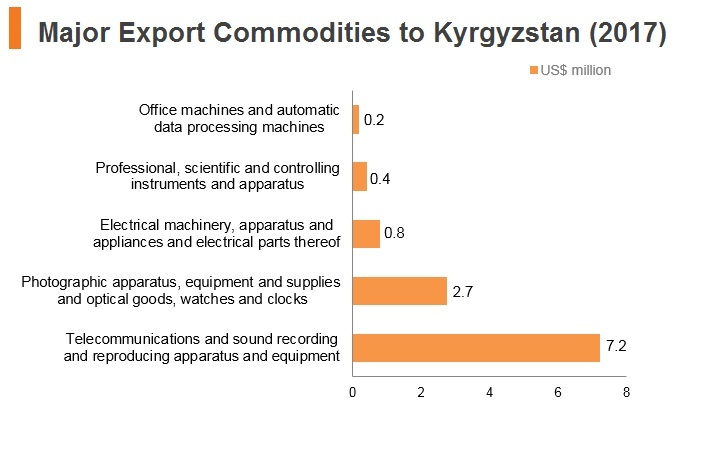 Switzerland is Kyrgyzstan’s biggest export destination, receiving up to 45.5% of all goods (in USD terms). 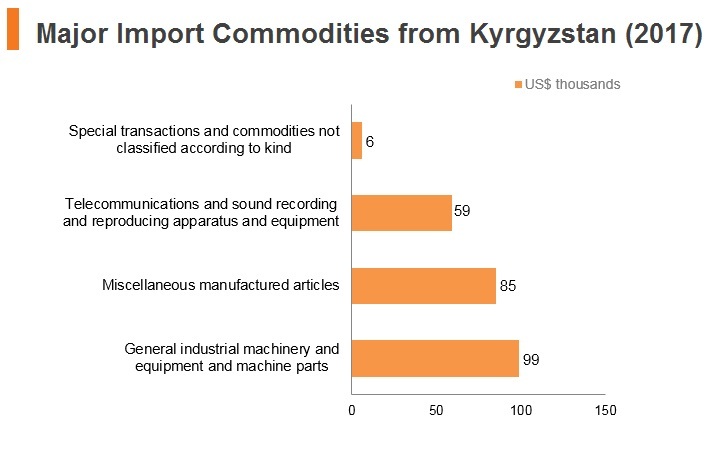 Gold is virtually the only kind of product which Switzerland imports from Kyrgyzstan. 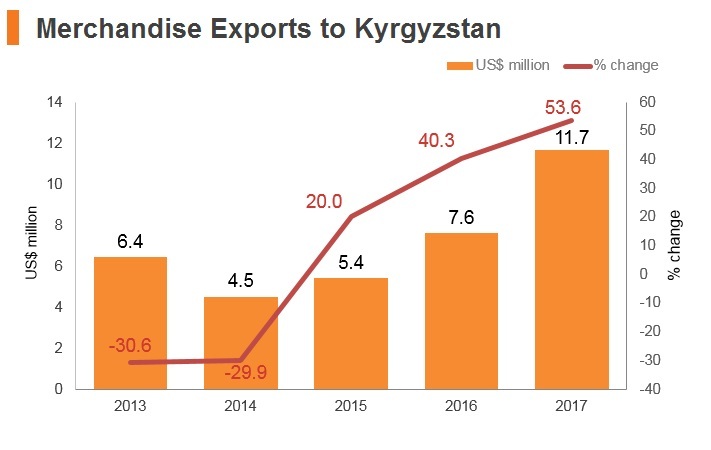 China has become Kyrgyzstan’s most important source of goods. 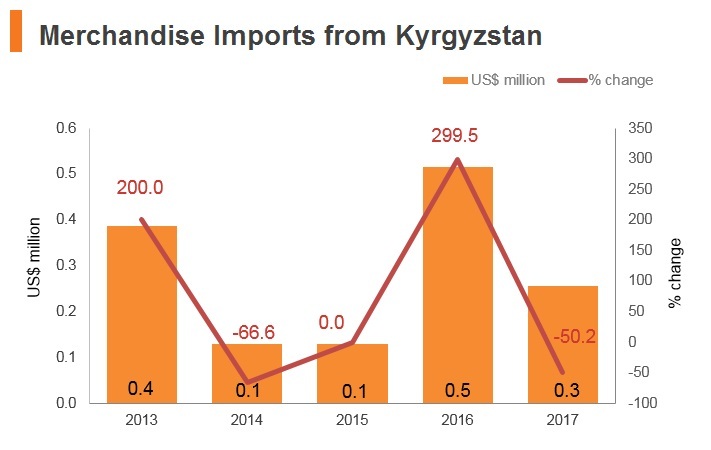 China is the source of two-fifths of all goods brought into Kyrgyzstan; machinery, clothing goods and other manufactured products make up the bulk of the basket of items bought by Kyrgyzstan from China over 2016. EAEU-China agreement: It was signed on May 29, 2018. The EAEU and Iran signed an interim agreement on a free trade zone in May 17 during the Astana Economic Forum. Two years of negotiations resulted in a three-year arrangement to reduce import customs duties on approved goods. 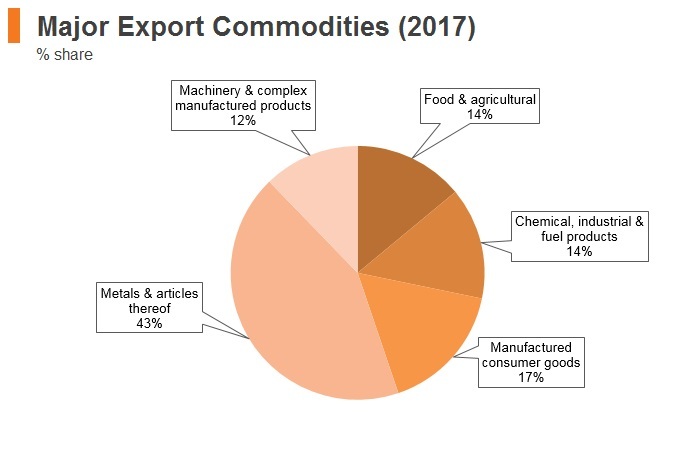 Commonwealth of Independent States FTA (CISFTA): Most of Kyrgyzstan's main trade partners are now included in the EEU, which has somewhat superseded the CISFTA. Tajikistan (effective date: January 2006): Kyrgyzstan mainly imports fruits, nuts and tobacco from Tajikistan. Kyrgyzstan’s exports to Tajikistan include coffee, tea, and milk, preparations of cereals, spirts and vinegar. 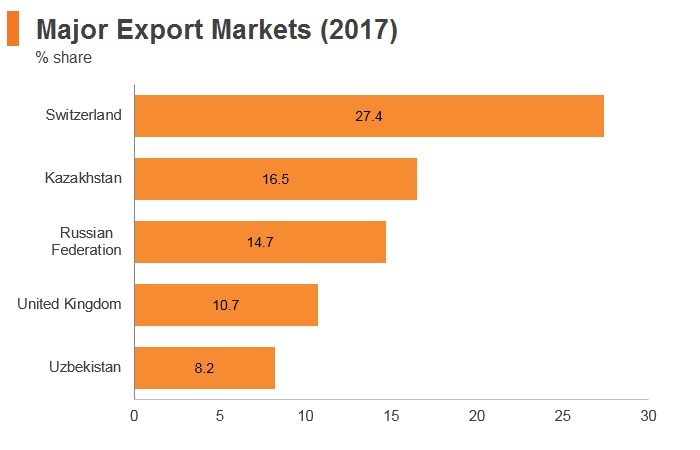 EAEU, comprising Kyrgyzstan, Russia, Kazakhstan, Armenia, and Belarus: While opening up markets in major trade partners Russia and Kazakhstan, the deal increases trade barriers with neighbouring China. EAEU-Vietnam FTA: Vietnam is not a major export or import partner of Kyrgyzstan's. 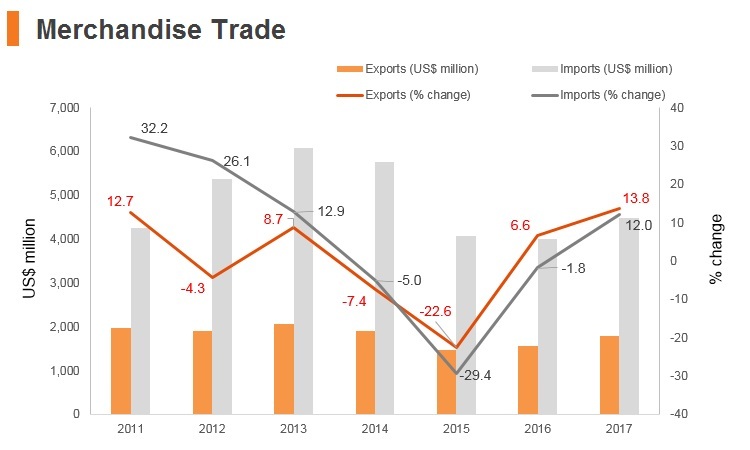 However, the promulgation of this FTA in October 2016 does provide another tariff-free market for Kyrgyz exports, and may allow Vietnam to overtake some of China's dominance in the textiles and manufactured goods markets. In December 2017, Kyrgyz Deputy Foreign Minister Emil Kaikiev met with the EU’s foreign policy chief, Federica Mogherini, and the director of the department overseeing ties with Central Asian countries, Luc Devigne, to launch negotiations covering a new bilateral agreement. 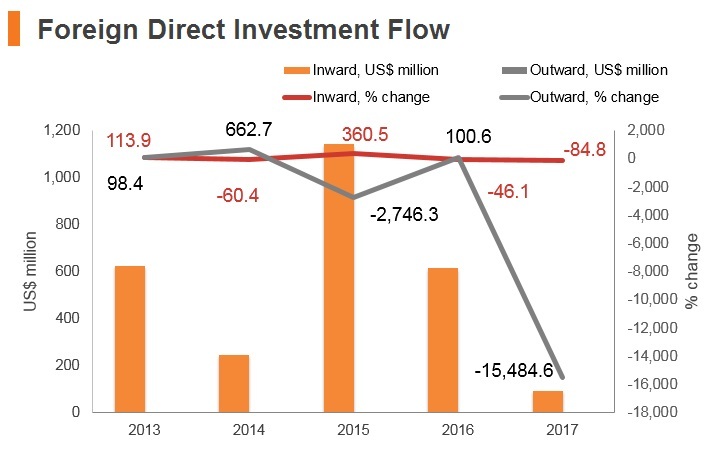 Kyrgyzstan does attract quite significant inward FDI flows in the mining sector and has a clear and incentive-driven FDI legal framework. Significant hurdles have made foreign investors wary of the country as a destination for doing business. 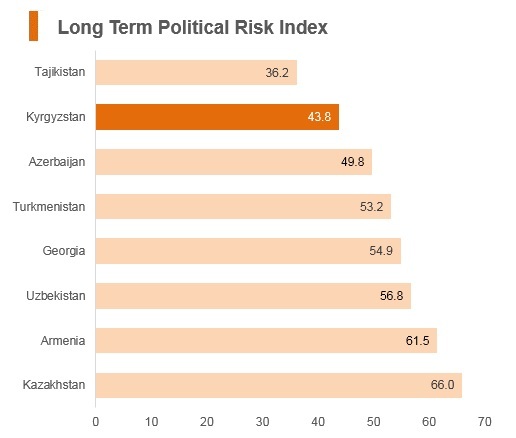 These include the inconsistent application of FDI laws by the Kyrgyzstan government which has seen them involved in several large-scale international lawsuits with foreign mining companies, resource nationalisation in the mining sector, significant limits on foreign ownership of land and high levels of corruption. 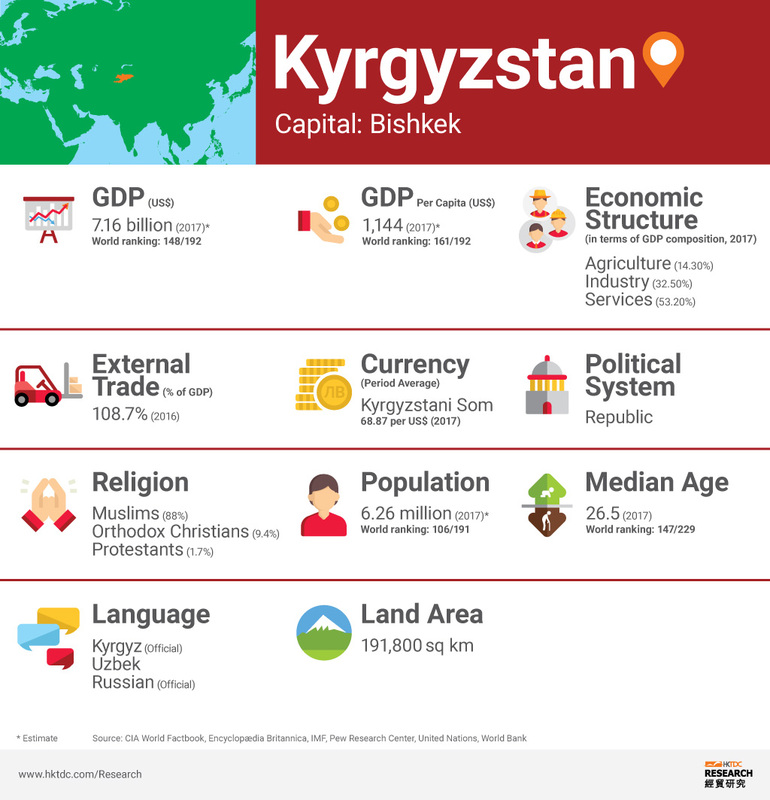 Foreign land ownership - Foreigners cannot own agricultural land, nor can foreigners own or use any land except residential land, which has been foreclosed under a mortgage loan agreement under the Kyrgyzstan law. Resource nationalism - The Kyrgyzstan government and Centerra Gold, which operates the largest gold mine in the country, Kumtor, had been involved in court battles regarding the government stake-holding in the mine. Regulatory uncertainty - Many high profile mining companies have had to renegotiate their mining contracts, had their mining licenses revoked, or been charged very high penalties for alleged environmental policy non-compliance. 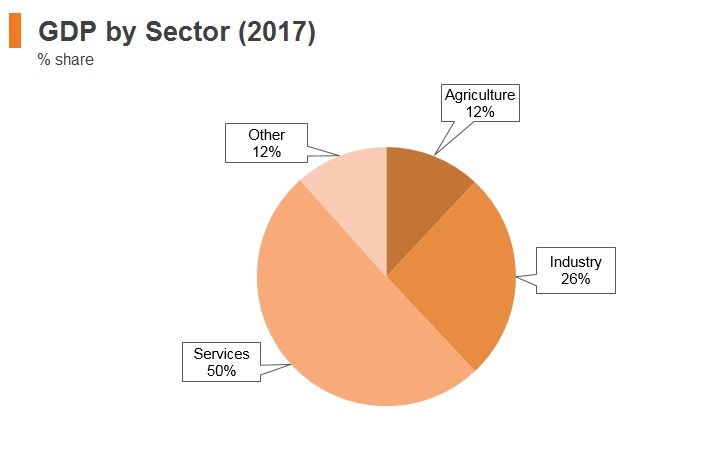 Sectors which employ a large portion of the population or contribute significantly to tax revenue may find themselves subject to additional audits, fines which apply to instances which happened many years prior, licensing and/or permit disputes, or have additional local workforce hiring requirements imposed on them. 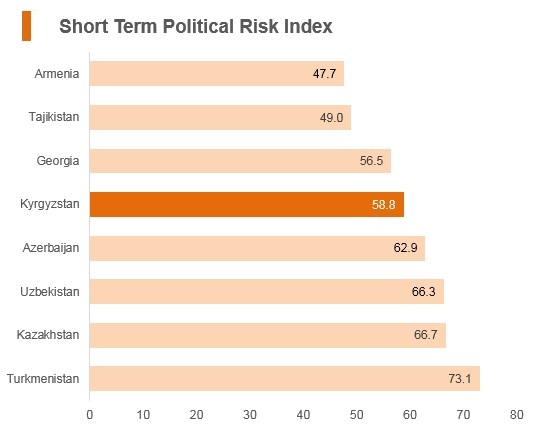 Legal risk - Investors face significant barriers from the high levels of corruption and weak protection of intellectual property rights in Kyrgyzstan. Foreign exchange restrictions - Since 2016, all local transactions for payment of goods and services has to be made in the local currency. The Kyrgyz government does set specific quotas for how many foreign workers can be employed. These quotas are set by the Kyrgyz Ministry of Labour on an annual basis and differ from region to region within the country. The country still has fairly low female workforce participation rates, estimated at around 56.3%. Significant cultural and religious barriers still remain. Women do not enjoy the same pay or career opportunities as men. While citizens of other EAEU and CIS countries may be employed without obtaining a special work permit, this is not the case for foreign workers from countries outside these regional arrangements. In order to be legally allowed to employ foreign workers, a business must first obtain permission from the Ministry of Labour. In order to be issued a foreign worker permit (usually takes an estimated 35 days) the employer must demonstrate that the skills needed for the specific position cannot be sourced within the Kyrgyz labour market. Preference is usually given to granting foreign worker permits for highly skilled professionals. Kyrgyzstan became an official member of the Kremlin-led EAEU in 2015. The EEU comprises Russia, Armenia, Belarus, Kazakhstan and Kyrgyzstan. 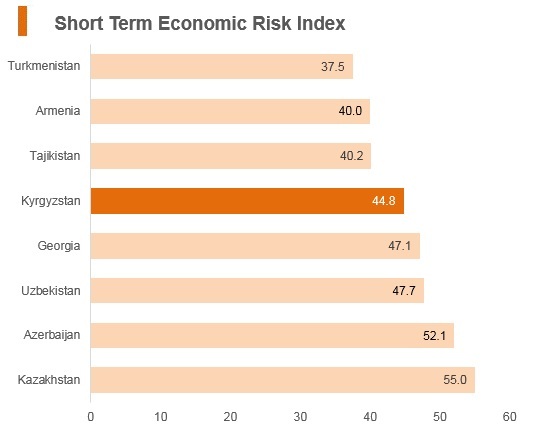 This will have major implications for Kyrgyzstan's prospects for economic development and diversification. For instance, Moscow has announced support for Kyrgyzstan's agricultural sector, which is expected to expand in the coming years, as Russia will also benefit from cheap Kyrgyz food exports in the context of punitive sanctions on EU agricultural exports. 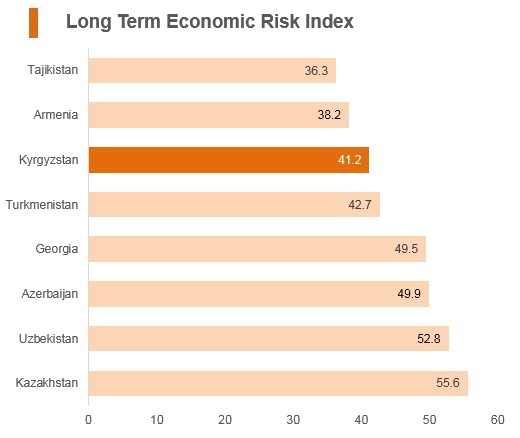 Kyrgyzstan exposes businesses to a number of operational risks, such as those from poor logistics infrastructure. Labour risks are also elevated, with the largely low-skilled workforce on offer often necessitating the importation of labour; however, relatively light labour regulations reduce labour costs. 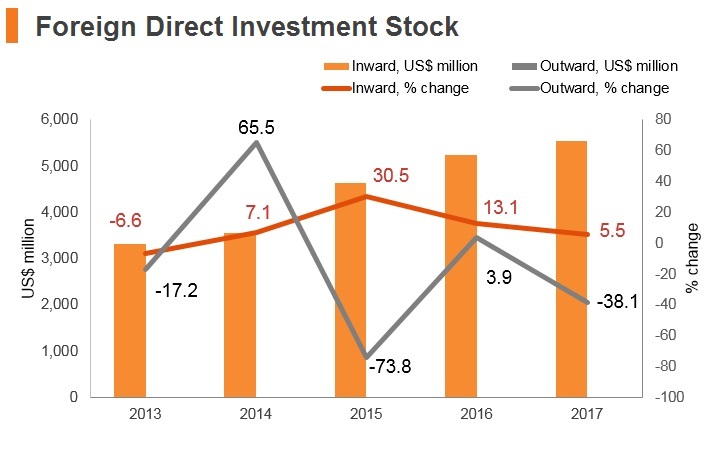 On a positive note, Kyrgyzstan’s government has established clear frameworks for FDI, low tax rates and bureaucratic procedures will potentially become more efficient as a result of e-government investments. Kyrgystan and China have a Bilateral Investment Treaty which came into force in September 1995. Hong Kong SAR passport holders need a visa before travel to Kyrzyzstan.